New York’s Falls are starting to look soooo good! 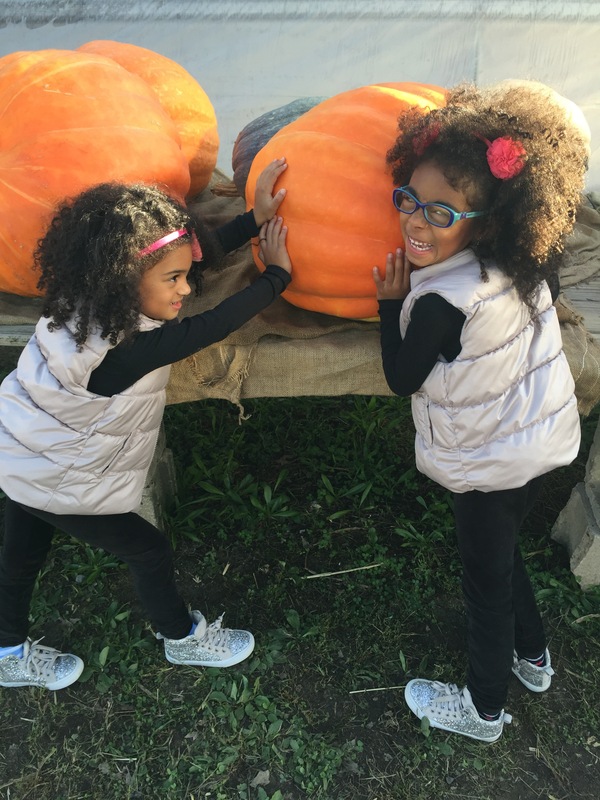 The crisp smell of a cool breeze, with the mix of sun has kept our TwinDollicious crew outdoors to enjoy all of the Halloween/Fall activities. We’ve ventured to 3 pumpkin patches and apple orchards so far and plan to keep going throughout the month. Why not… They make for the best photos. We chose these 3 stops because of their locations and ammenities of fun. Our First visit was to Battle Orchids (91 Wemrock Rd, Freehold NJ) which is a favorite repeat of ours. The Second visit was to Easton PA, Raub Farms https://maps.google.com/maps?client=safari&channel=iphone_bm&um=1&ie=UTF-8&fb=1&gl=us&entry=s&sa=X&ftid=0x89c469570d3e9781:0x17489cbfa8172602&gmm=CgIgAQ%3D%3D. Which has the most amazing art maze. Every year a local artist creates a new design within the Corn maze and this years theme was farm scene treasure hunt. Our third pumpkin patch adventure took place in Hillsdale NJ; Demarest Farms: 244 Werimus Road. Where a playground stood by the main entrance for the kiddies to enjoy before buying fresh farm picked and baked pies in the market. The truth is that Halloween isn’t here yet and there’s so much more to do…like NYC’s Lincoln Center Halloween event… Which we will be sharing here, along with costume favorites! ****what will you be this Halloween?